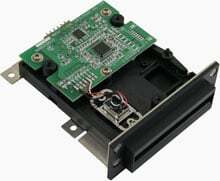 Designed for gaming systems, access control systems and other card reader related systems. The UIC MSR240 is ideal for retail systems, time keeping systems, security systems and other card reader related systems. The MSR240 is designed to offer the user a card reader solution that will complement many applications.